The holiest time of the year is nearly upon us. 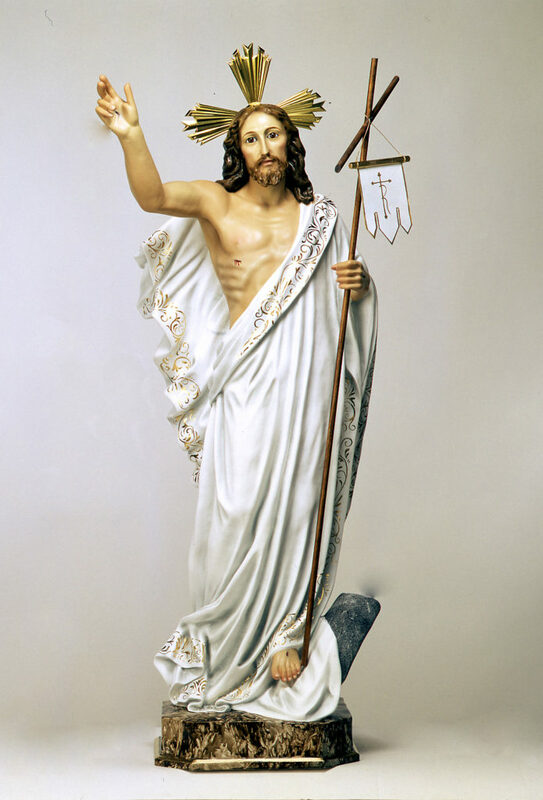 To celebrate, Mazzolini Artcraft is offering special prices on array of statues for Easter Week. 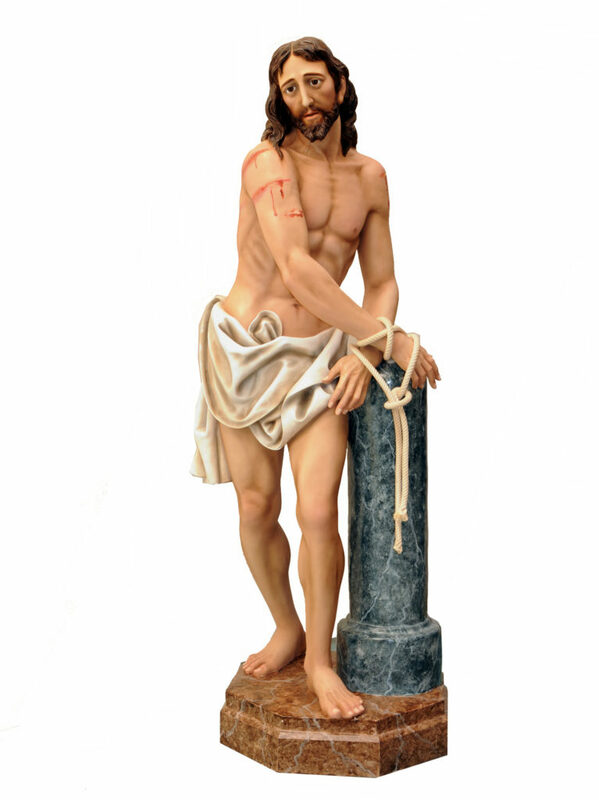 These fiberglass-resin statues are affordable, easy to move and maintain, and resilient, but they are not mass-produced. Each is made by hand at our partner studio in Spain, which has been in business since 1880. Scroll down to see more images, and check the photo captions for details. 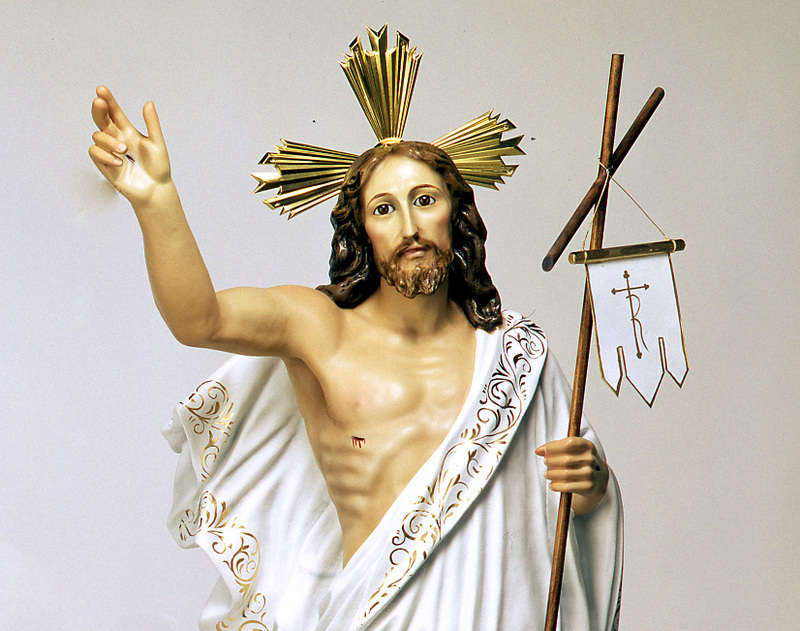 For more information about these or other Easter products (including Stations of the Cross), contact John Mazzonlini at 888-437-4499 or [email protected]. Resurrection (model R-203): 100cm or 40” from head to base. Cast in fiberglass/resin and fina finish. Price: $2200 (includes shipping in continental U.S.). Resurrection (model M-94): 120cm (4ft): $2980. 150cm (5ft): $4900. 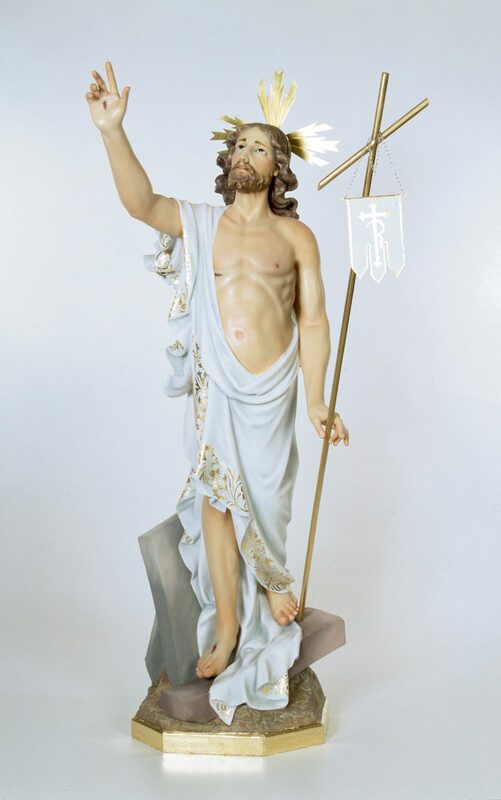 Prices include shipping in continental U.S.
Christ at the column (model A-33): 90cm (36″), same size body as R-203. $1900, includes shipping in continental U.S.